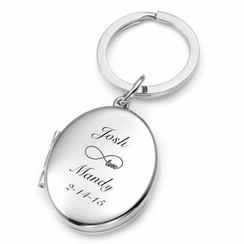 This oval silver picture frame keychain is wonderful gift. Not only beautifully finished in satin and non-tarnish high polished silver, it also holds a little picture(.8125"x1.375") under the magnetic lid. 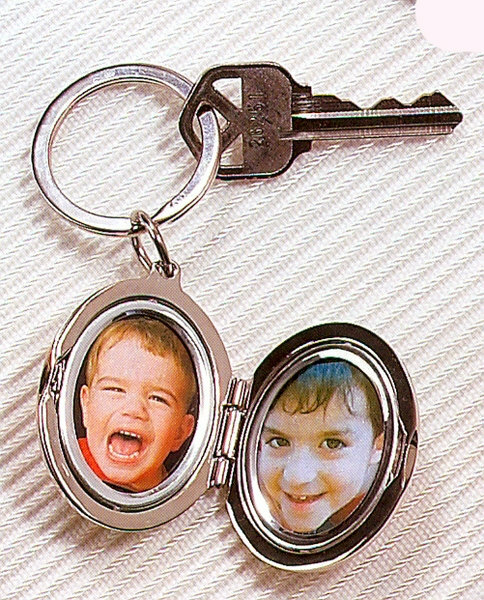 This photo holder keychain can be engraved with names or a message.